Get inspired by some of the A-listers who’ve successfully rocked this year’s hottest colour. Stunning in every hue, auburn hair seems to be one of celebrities’ favourite looks on the red carpet and beyond at the moment. From soft, strawberry blondes to deeper coppery tones and more exotic cinnamon and rust, there’s a plethora of hues to choose from. For those wondering about the longevity of the trend, we think it’s safe to say this is a colour that’s set to stay, so if you’re brave enough, we suggest you join the auburn hair camp and get ready to enjoy the attention. But before you do, why not check out 7 of the most incredible red-headed beauties for some #hairinspiration you can take to the salon with you. Showing off a fabulous shade of chestnut, Isla’s auburn hair has a rich and earthy glimmer that looks stunning when worn on the red carpet in bouncy, high gloss waves. An intensely eye-catching shade like this deserves to be shown off, so work the vibrant colour with beautifully conditioned hair to give it a shimmering, high polish finish. Definitely one of Hollywood’s most talented and noteworthy redheads, Julianne Moore’s stunning auburn locks are a defining part of her show-stopping beauty. However, she styles them, her fiery red tresses never fail to impress. From a sleek side-parted long bob and glamorous, bouncy waves, to a boyish short crop and beautiful long layers, her hair will definitely leave you feeling more than a pang of major redhead envy. With a vivacious smile that can take her anywhere from sweet girl-next-door, to a fierce force to be reckoned with, Amy Adams’ auburn hair falls perfectly in the middle. A slightly deeper, more intense variation of classic strawberry blonde, this particular shade is at once striking and elegant, while flattering her pink under-toned complexion perfectly. Mad Men actress Christina Hendricks’ signature red hair is constantly changing, but whatever shade she chooses seems to always complement her porcelain complexion and iconic, curvaceous figure wonderfully. Though not a shade for wallflowers, we particularly love this bright auburn hue with honey-coloured undertones, which just oozes retro elegance like no other. It’s hard to believe that there was once a time when red hair was met with more than a little fear and aversion – until Florence and The Machine frontwoman Florence Welch captured our collective hearts. 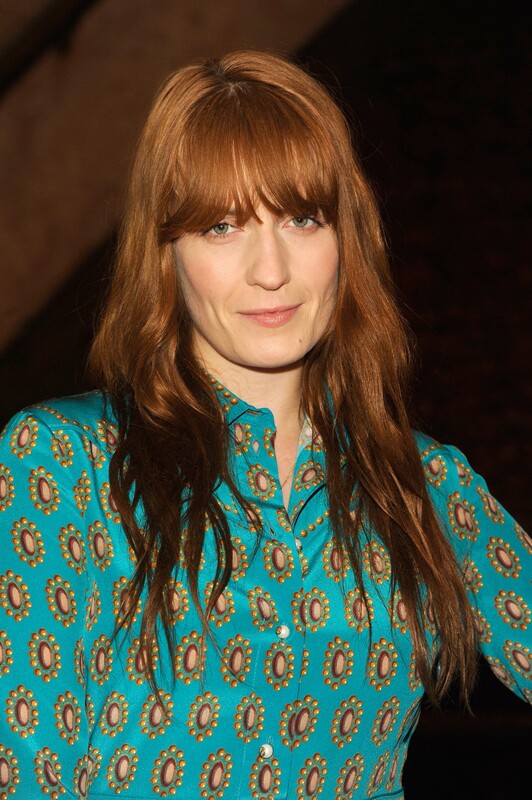 Her unapologetically bright shade of coppery auburn hair, now a vital part of her unique bohemian look, is perfectly matched here with heavy bangs and long, tousled waves. 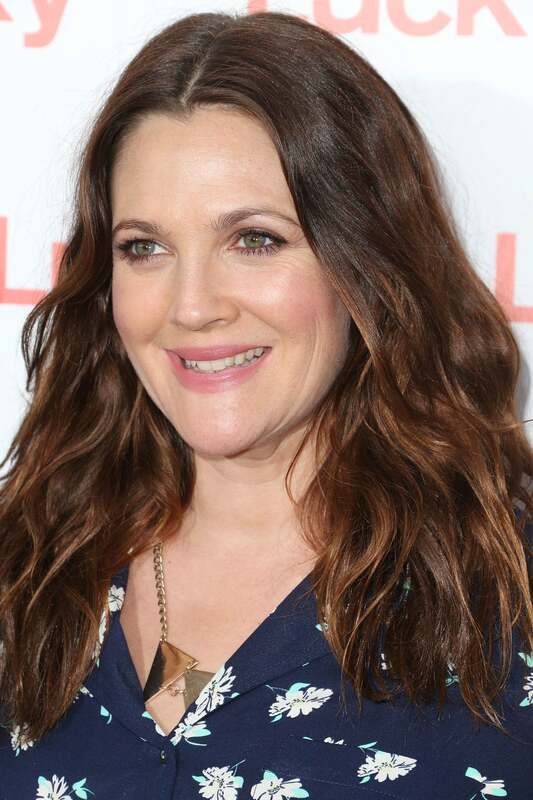 Drew Barrymore is no stranger to experimentation and has gone through every shade under the sun when it comes to her hair, but her auburn locks hold a particularly special place in our hearts. Though she’s since moved on, we still love the deep, velvety dark shade of copper hair (carefully mixed in with sultry maroon and more classic brunette tones) she rocked a few years back. If you fancy lifting your brunette shade just a little, why not give it a sprinkling of cinnamon a la Kirsten Dunst, circa 2006. This softer, gingery shade looks lovely with her porcelain complexion – lifting and highlighting her stunning features and gorgeous blue eyes perfectly. Remember to use a shampoo and conditioner created specially for coloured hair. We love the Dove Colour Care Shampoo (200ml, £2.69*) and the Dove Colour Care Conditioner (200ml, £2.69*). Formulated with Vibrant Colour Lock, this shampoo and conditioner combo helps to keep hair colour vibrant for up to 8 weeks, leaving coloured hair feeling silky and manageable**. **Note: To experience comprehensive benefits, use alongside Dove Colour Care Conditioner. Sarah Hyland channels Khaleesi vibes with her new red hair — see it now!